The SSCA has an initiative promoting SSCA small gams or get-togethers. Whatever cruisers like to call it we are going to have get-togethers more often and in more places worldwide!! So wherever you are, on land or in a foreign port, fly your SSCA burgee and have a get-together! We need all members to help by thinking of ways to have gatherings with other members and non-members. Wherever you are, you can go on the new web site and look up the location of other members. 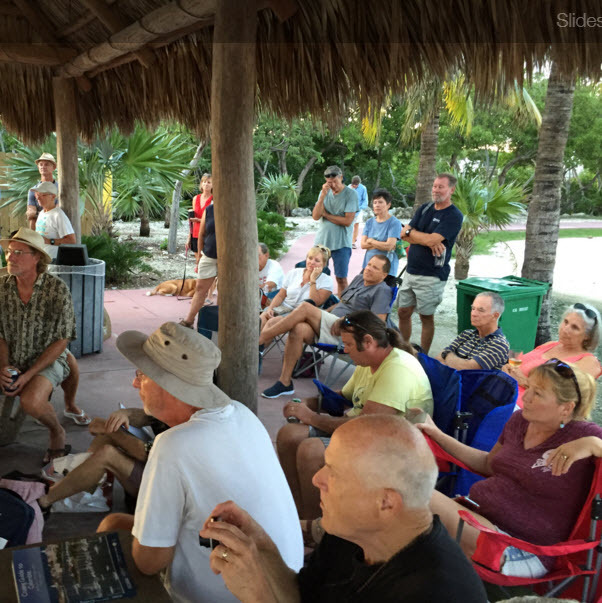 Try to get together in any format, breakfasts, lunches, beach gatherings, jam sessions or simple dock gatherings. These can be spur of the moment, or more structured depending on where you are and what you want to do. There are all kinds of interesting cruisers everywhere that may help you or even give a short talk on something of interest to cruisers. You can advertise the get-together on social media, the SSCA website, and radio nets before the event depending on how impromptu it is, then follow up after the gathering with photos posted on social media and the website. Just send a photo and a couple sentences to media@ssca.org and SSCA Communications Coordinator will take care of the posting. This has the potential to be a huge recruiting tool for new members. We can call them SSCA lunch Gams, SSCA breakfast Gams, or SSCA Gam & Jam, or SSCA Beach Gams. We need all of you to help get the word out about the SSCA to members and non-members. Please contact me with your ideas. Click here for a fellow member's account of his techniques for very successfully setting up a mini-gam.